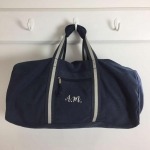 This canvas bag is both stylish and hard wearing. It is available in two vintage style colours and personalised with embroidery by our skillful in house team. 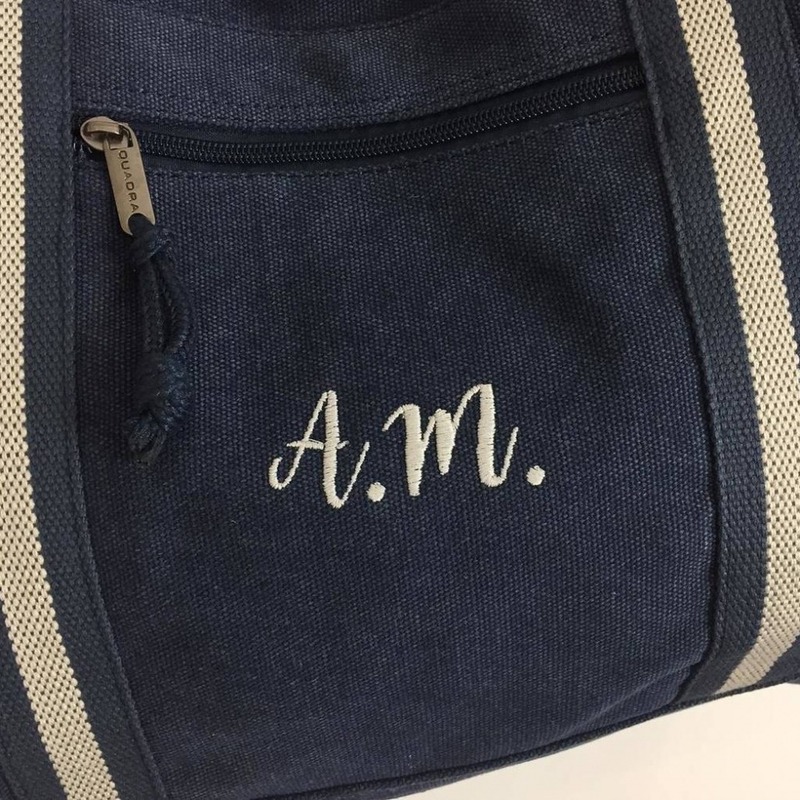 The possibilities are endless with many different embroidery thread colours to choose from as well as a range of different fonts to suit a wide variety of styles. Please contact us if you have any special requirements regarding the style of embroidery. 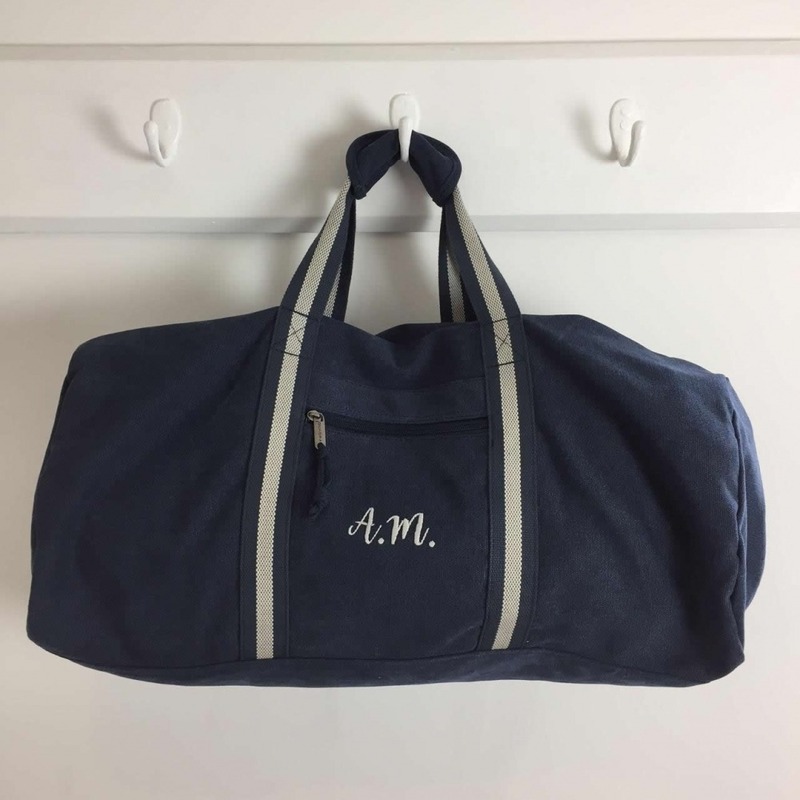 The soft bag is a great size – perfect for either a weekend away or even a trip to the gym, with plenty of space for towels, trainers etc. The bag is hard wearing and would even hold several files if needed. 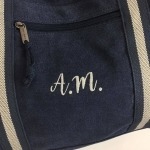 With the unique personalisation, the bag makes a great gift for the men in your life or as a useful gift for a student or friend. As well as strong carry handles, the bag also has a detachable and adjustable padded shoulder strap that could be worn across the body. The bag an external zip pouch pocket, as well as a padded base panel. Great gift – and useful too!